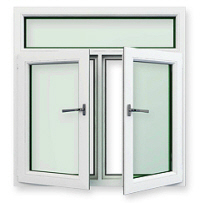 This design of window is very popular in the UK and can be seen almost everywhere as it offers excellent functionally and is versatile enough to be used in quite large openings and can be manufactured in an extensive range of configurations to suit many different purposes and can be found in uPVC, Soft or Hardwood or Aluminium - uPVC units are frequently used when homeowners are seeking to replace their existing windows. Opening sections are usually hinged from the side, but top openers are hinged, from the top, occasionally you can get the main opening section hinged at the bottom which are sometimes known as a 'hopper'. 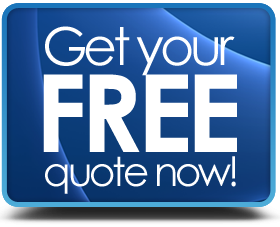 In terms of prices for an individual window unit can sometimes find that there is a cost for each section that opens, however, not all installers work out their prices this way, so it is prudent to check. What do uPVC Casement Windows cost in the UK? 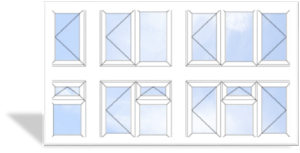 Bow windows Vs Bay windows – how much do they cost? All you need to know about sash windows cost. Maintenance requirements vary significantly, with Soft & Hardwood versions needing the most care and attention (regular cleaning, painting, staining etc. ), hardwood. uPVC offers the lowest levels of maintenance with them only requiring cleaning with warm soapy water. If you are installing double glazed units, then include trickle vents to eliminate condensation, however if you notice signs of condensation between the panes of glass, this could mean that the seals have failed & need repair or replacement as soon as possible. Upgrade to A+ rated energy efficiency.